Where are we going with Peronal Learning Environments? Linda Castaneda emailed me. “As I have already told you, Jordi Adell and myself, are editing a book about PLEs in Spanish. It is not a commercial book, we are going to edit some hard copies for free and an open ebook in the Web. The idea is to offer an overview of PLE for teachers (as complete as possible), in plain, trying to explain what PLE means in general but, specially, what PLEs mean for formal education. We think sometimes our teachers don’t have access to those texts because of the language, or because of the format (from our experience, school teachers are not usual blogsphere readers), or because of the context (they don’t understand how include those texts ¡n their day to day needs. So we want to include some texts like this, translated into Spanish in order to complete the PLE perspective we want to offer. And she offered me a beer and a good meal. How could I resist? I couldn’t find anything suitable that I had already written so I wrote this short text on Sunday. Gartner has used hype cycles to characterize the over-enthusiasm or “hype” and subsequent disappointment that typically happens with the introduction of new technologies. Hype cycles apply as much to educational technologies as they do to consumer products. Yet the discussion and development of Personal Learning environments does not follow the normal hype cycle pattern. Although the idea has been in widespread use since 2004, there is a steady increase in research and development and in initiatives to implement PLEs in practice. Perhaps this is because although the idea of PLEs can lead to the development of new technology applications, it is predominantly an approach to using technology for teaching and learning, rather than an educational technology per se. As such the developments of PLEs interact with both wider societal discussions around the future and purpose of education and with different pedagogical initiatives around Technology Enhanced Learning. This short article will look at these interactions. The debate over the purpose and future of education has spread beyond the educational community to enter mainstream political and social discourses. In part this is a product of the economic crisis and pressure for fiscal savings by national governments. It is also due to attempts by capitalism to open new markets through commodification and marketisation. This in turn has led to both movements to defend state funded education and to open access to learning. At a more fundamental level, the debate may reflect the growing dysfunctionality of education systems which were developed to meet the needs of an earlier form of industrial capitalism and no longer meet the perceived needs of late capitalism. And whilst in the past education systems, curricula and pedagogy were able to balance the needs of industry with the ideas and aspirations of educators, there is a growing tension as to the very purpose of education today. Interestingly, Personal Learning Environments offer something to all sides in this debate. On the one hand they offer a tool to recognise learning from all contexts and to allow new and open approaches to pedagogy to develop the potential of every learner. On the other hand they can be used for lifelong and continuing learning to develop and improve employability, regardless of institutional arrangements. Of course, the rapid development and implementation of new technologies is impacting on education, as it is on all other sectors of society. Technology Enhanced Learning is not a new phenomenon. Both radio and television were extensively used for learning and web 1.0 offered widespread access to information. But these were essentially push technologies. Web 2.0 has opened up discourse and interactivity further blurring the roles of teacher and learner. At the same time improved bandwidth has facilitated the production and sharing of multimedia challenging the primacy of print as a paradigm of education. Near ubiquitous access to the internet and the development of mobile devices means learning can take place almost anywhere. And social software has allowed the development of dispersed personal networks outside the school and the creative application of technology for learning in the classroom. Given such developments, PLE research could almost be seen as a description and analysis of how people are using technology for learning, rather than as an idea as to how they might. Of course many young people use their personal networks on facebook to discuss their homework. Wikipedia is an increasingly universal reference point for information and knowledge and thousands of teachers, amongst other, contribute to it. And when we want to find out how to do something we often turn to crowdsourced video sites. However PLE thinking goes further than this. The PLE movement is not based on a single artefact or thing or a simple pedagogic approach but represents diverse ways and perspectives on how we can change process and form of education and in particular as to how we can facilitate learning in multiple contexts. As such the development of PLEs interacts with many different experiments, projects and initiatives with using technology for teaching and learning. The Telefonplan School, in Stockholm has been designed so children could work independently in opened-spaces while lounging, or go to “the village” to work on group-projects.Such open environments facilitate flexible learning and personal learning pathways. Other spaces such as libraries, museums and cultural centres are increasingly seen as learning environments. The ADL sponsored Experience API is designed to allow learners to track and record their personal learning. Teachers are increasingly bypassing the restrictions of Virtual Learning Environments to integrate social software and multimedia for creative and explorative learning in the classroom (see for example the work of the EU funded Taccle 2 project). Marshall McLuhan said “we shape our tools and then our tools shape us.” As a community we need to consciously shape our tools for learning, just as those tools shape the forms and learning which plays such a key role in our personal lives and in our society. And of course the shape of those tools will inform the future design of our educational institutions and schools. PLEs are not just a tool but are an approach to how we develop and shape those tools. This in turn will increasingly impact on the role of teachers as supporters and facilitators of learning. PLEs, along with other developments represent a move towards learners taking more responsibility for their learning. However for this to happen they will need support. It also raises the issue of what literacies learners need not just to access and evaluate information but to themselves shape their tools. At the same time, the contexts in which we are learning are widening. Whilst we are developing an understanding of context in terms of location, through the use of mobile devices, we have still to fully understand different aspects of context including, perhaps critically, what we are trying to learn. The debate over the role of educational institutions will continue. Our increasing understanding of the role of PLEs in learning can contribute to this debate. PLEs do not invalidate or diminish the role of institutions but can inform how we view institutionally based learning within wider communities, be they online or geographically based. PLEs may also help to overcome some of the tensions between the different purposes and directions for education in the coming years. Last week Dirk, Jenny and I attended the first meeting of the European Commission IST programme Learning layers project. You are going to be hearing much more about the project on this blog, but here is a quick summary in the project’s first press release. At the same time, mobile and social information and communication technologies have entered all parts of our lives. Nowadays we use them naturally to keep in contact with our friends, to seek information, to buy things and to work. There is now a realization that these emerging technologies are a key enabler to refocus efforts on informal learning, but few companies have taken these technologies up in a systematic way to include them into their learning strategy. So why is this? “One of the reasons is that, although informal interactions, like asking your colleague across the room for help, are very effective, they don’t scale very well beyond the immediate context”, says Tobias Ley. While the help is effective, not many others can benefit from it. Could our personal technologies provide a key for scaling up these interactions? This is what the project has set out to discover, and a number of technological solutions will be developed that should help to make this endeavor a reality. First of all, technologies need to be where informal learning really takes place. “In many prior projects, we have concentrated on people sitting at their computer desktops. In contrast, the Learning Layers Project will look at workplaces that are inherently mobile,” says Stefanie Lindstaedt, Professor at Graz University of Technology in Austria, who will be one of the main project partners for developing technologies for these settings. The European Commission has specifically asked for proposals that benefit Small and Medium Sized Enterprises in sectors that have been less inclined in the past to take up technologies for learning. The Learning Layers project has therefore selected two very challenging application areas, the building and construction industry and the healthcare sector. Informal learning has traditionally played an important role in these sectors, but both have been hesitant to embrace learning technologies for different reasons. “With people using their personal devices, we now see a great opportunity in the building industry to connect our course offering much more directly with what people are experiencing at the workplace”, says Melanie Campbell who is representing a regional training center for the building and construction industry in Northern Germany. “Doctors work in interprofessional teams and have often learned from colleagues, technology could provide us with a way of sharing, enhancing and recording this informal learning”, says Tamsin Treasure-Jones from the Leeds Institute of Medical Education at the University of Leeds. “Understanding the current situation in these two sectors, how they work, learn and share their knowledge, is a key priority in the project”, says Ronald Maier, Professor at the University of Innsbruck, “we will therefore conduct in-depth studies and use our findings to help improve the way people work and learn.” Based on these insights, the project will design interaction technologies to ensure that they are firmly embedded in the daily work practices, and to create new knowledge, learning and work practices that fit to the existing ones. Apart from direct person to person interactions, such as asking colleagues, the Learning Layers project will also look at how learning materials are created informally and then increasingly shared, improved and used on a wider scale. And because people’s experiences with physical objects, like machines or materials, is crucial in the two sectors, the project will also consider how these experiences can be better exploited for learning purposes. For example, it is nowadays quite easy to make short video sequences and share them to explain how to use a certain tool. “In order to scale up the use of these technologies, we really need to show take up in large user groups”, says Graham Attwell, Director of Pontydysgu and responsible for the project’s outreach strategy. One of the key measures the project will take is to make use of existing regional economic clusters in which enterprises are already collaborating on a whole range of activities. The project has proposed a roll-out strategy through which technologies would become part of the regional innovation and learning system, thereby reaching out to 1000 end users within the lifetime of the project. With the explosion of interest in Massive Open Online Courses (MOOCs), both in numbers of courses and students, and in press reporting on the rise of MOOCs, it is worth thinking about the significance of all this. Here is a short version of five things that we have learned – a longer version (possibly) to follow. There is a huge pent up demand for education. MOOCs provide free and flexible access tot hose who could not previously take part in education. That includes not only from poorer countries with a limited education infrastructure but also from rich countries. And whilst some of the demand my be due to people wishing to improve their qualification, for many others the main motivation is personal interest. After a long period when Technology Enhanced Learning was seen as a supplement to traditional systems or as only for more technologically confident learners, Technology Enhanced Learning is now part of the mainstream and for many learners may be the mode or context of learning of choice. Education is now a global industry. National borders are no longer a barrier to participation in on-line courses and universities are being forced into international alliances to deliver courses to a global student body. At the same time, investors see Technology Enhanced Learning as an opportunity to develop new markets and are pumping money in accordingly. There does not seem to be any confidence about what the future financial market is for MOOCs. 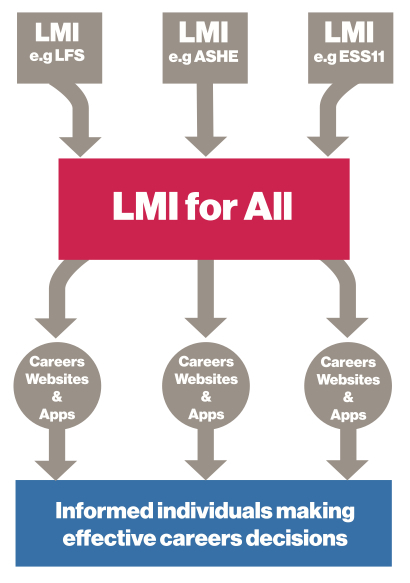 Some institutional managers see it as an way of recruiting more paying students to their university, others talk of a future market in selling accreditation. The new so called X-MOOCs such as Udacity or Coursera offer little in terms of new or radical pedagogies. Instead they rely on relatively well established approaches to online learning. However, they may reflect the growing experience in developing online courses and the reduced cost and ease of production of videos and, for students, the ease of access through ubiquitous connectivity. MOOCs are disruptive to the traditional university model. However such disruption may be more from globalisation and the financial crisis than from the introduction of new technologies per se. Innovation comes from outside the institutions. Despite being ignored in the popular press, MOOCs were developed and pioneered by people such as Stephen Downes, George Siemens and Dave Cormier (See Stephen Downes’ MOOC blog for more). The so called c (connectivist) MOOCs were far more innovative in pedagogic approaches but the idea was taken over and adapted by the mainstream institutions once they had proved their viability and attraction.